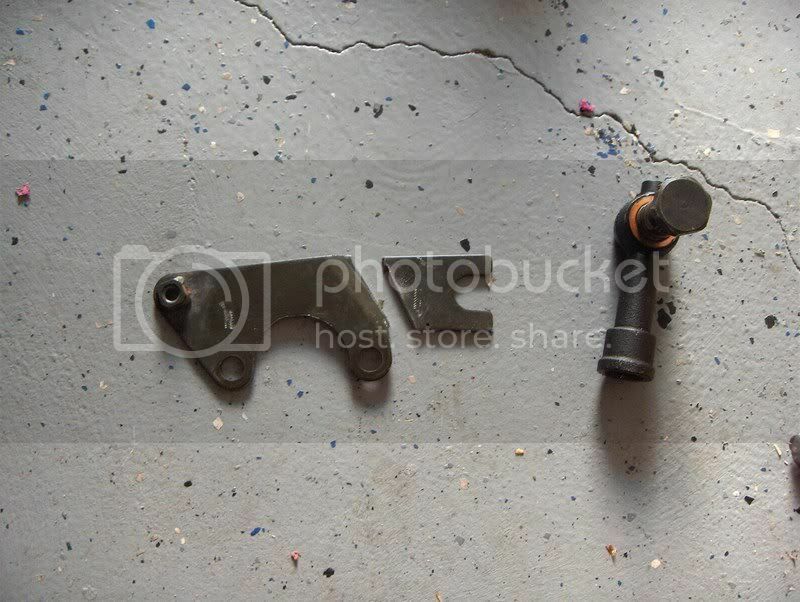 Well for starters you are going to be using the RB Power steering pump mounting bracket, the bracket that actually holds the pump to the block. It need no modification. I used a rubber mallet to gently persuade the KA pump into the mounting bracket, so you may have to do the same. There is a bushing in the mounting hole that will be pushed in or out as needed so using the mallet won’t hurt anything if done correctly. 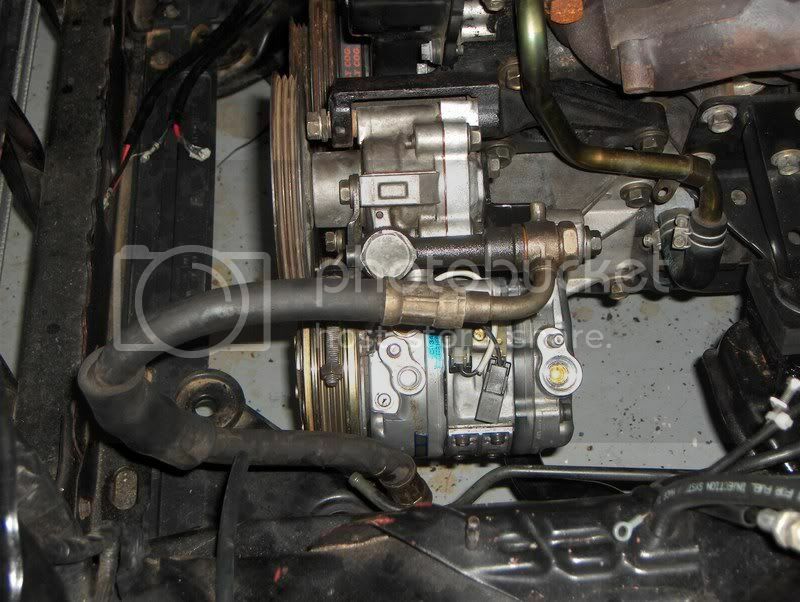 Once the pump is in the bracket you get to the only part that really needs to be modded, the adjustment bracket. And you have two options here, I’ll try to show both but only have pics of the one I chose. And you are done lol I can’t find the “after pic” but you bolt the adjust back together and back on the pump and you are good to go. *Pay attention when bolting the newly modified bracket back on, keep all the bolts loose until you get the bracket in a position where it can slide up and down the adjust slot. I noticed I bolted it all up in a hurry and the bump was barely getting hung up in the “sliding groove” but was easily fixed by paying attention, just test the sliding action in your hands before bolting it up. 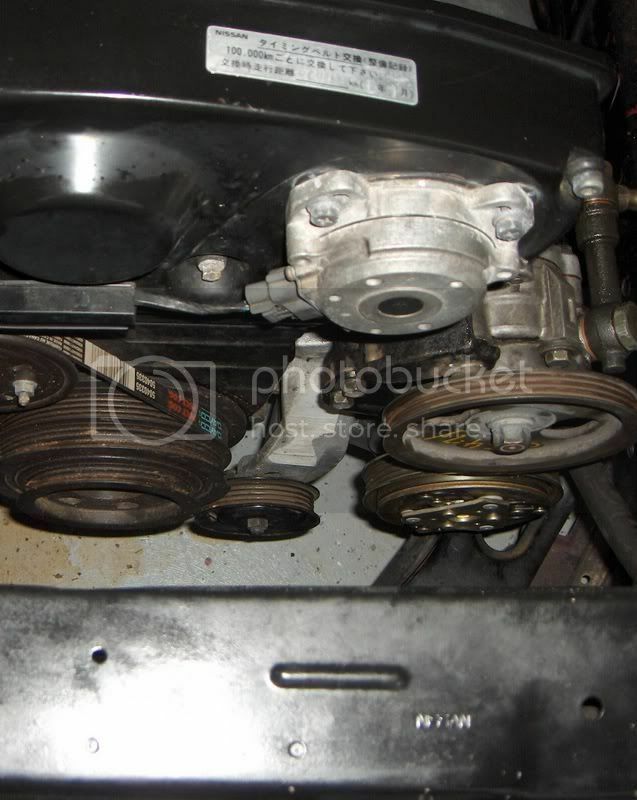 if done correctly the pulley lines up perfectly with the stock RB25 crank and just requires a larger belt. I went to several places before finding the correct length. 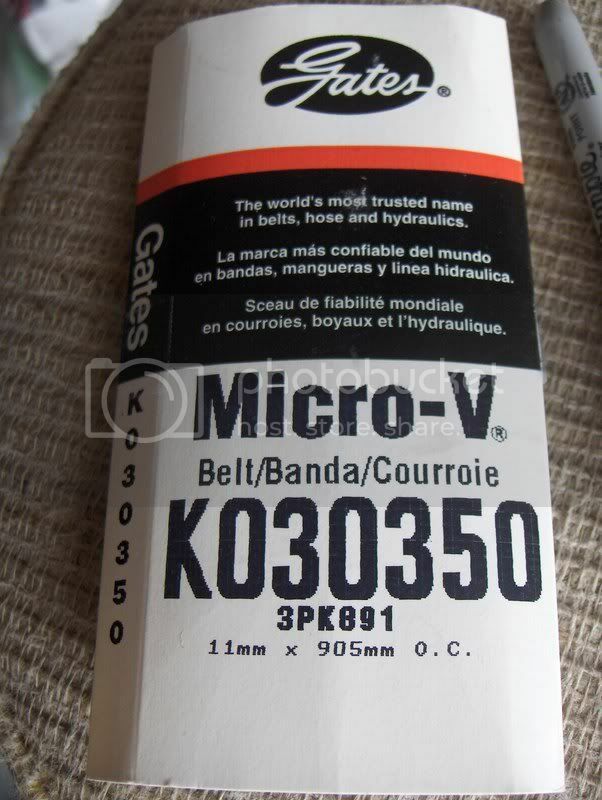 Ended up at Napa, here’s a pic of the Gates belt so you know which one to pick up. And as you can see in the pic, you can easily use the KA pressure line, and there is plenty of wiggle room for the line to clear a koyo raditator. 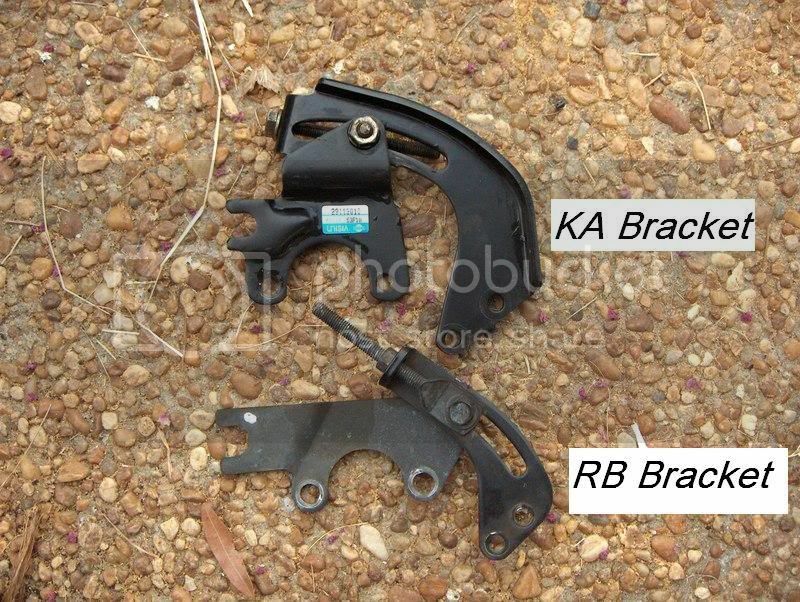 You will be using the KA adjuster bracket on the KA pump, but will still use the RB mounting bracket. Again if you have A/C on your RB you should go with option 1. The KA adjustment bracket will obviously bolt up to the KA pump but the two bolt holes on the right side (in the pic) are where the adjustment bracket bolts to the mounting bracket. 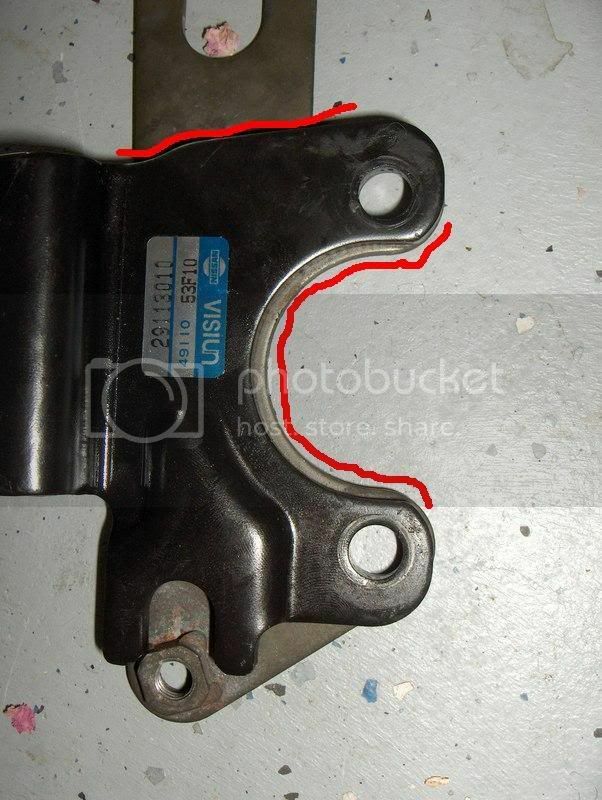 as you can see in the pic (marked in blue and yellow) the two bolt holes on the KA bracket are spaced a little farther apart. So if you were to go with this option you would have to drill/slot the top hole (in this pic) to line up with the hole on the mounting bracket. And as far as I can tell the only thing else that would be needed would be a longer adjuster bolt, as with this option the bracket needs to be adjusted longer then the stock KA bolt will allow.